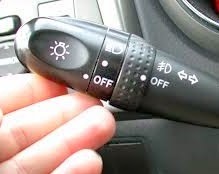 Russ Chaplin's Driving Instructor Blog: Do You Teach Intelligent Use of Driving Signals? It occurs to me that 'use of signals' would be a valid and full subject for a check test. I might also adapt your last sentence to say 'sound teaching of the use of signals is evidence of a competent and thinking trainer.' I'm not going to say 'instructor' because that smacks of military drills. I agree totally about the need to inform pedestrians. Also there is nowadays a need to minimise the use of signals, so that the important ones stand out. Could go on at length .... happy to communicate with your student directly if desired.